Bethesda’s recent Fallout 76 has received an almost unanimously poor reception both critically and commercially. Although I actually argued for the game’s concept pre-release, even I’m aware of its flaws after seeing Bethesda’s execution. I’m all for a multiplayer Fallout game on paper, but I’m not, however, all for Fallout 76. Don’t get me wrong, there are plenty of interesting things about Fallout 76. Camp-building in particular springs to mind as something that lends itself well to a survival game, but Fallout 4 already had settlements anyway. Preston Garvey may have made maintaining said settlements a nuisance, but they were there at least. Anyway, even camp-building is deeply flawed, as although you can easily rebuild your camp after logging in—because it disappears when you log out—you can’t rebuild it exactly as it was without having to jump through hoops. This discourages creativity, because why would you pump four hours into a unique, aesthetically-pleasing camp when it’s going to disappear as soon as you log off to eat your dinner? 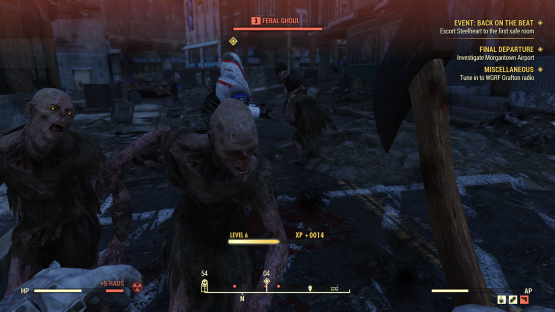 Flaws aside, Fallout 76 isn’t even a shell of what it could have been. Worse still, it’s not even a shell of what it should have been. This doesn’t feel like the game that Bethesda showcased at E3 earlier this year. 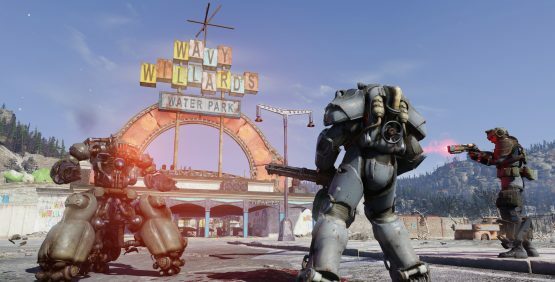 We’ve heard various announcements from Bethesda about its desire to support Fallout 76 long-term, with Pete Hines even comparing it to Blizzard’s World of Warcraft—but why? WoW has been maintained mostly for the better for over 14 years now. Fallout 76 has been out for less than a month and people have actually reported that the game is unplayable for them. Error after error, they can’t log-in, they can’t engage with their surroundings, their connection is severed at the most critical times. It’s not okay for an online-only game released in 2018 to do this. It’s especially not okay for a game sharing its name with one of the most iconic game franchises of all time to do this. When Sean Murray released No Man’s Sky in August 2016, the game was met with savage backlash. Accused of learning from the school of Peter Molyneux—who, despite the controversy surrounding him, is an excellent game designer—Murray launched a game that didn’t bear any semblance to the game he had been describing to the world pre-release. Entire features and mechanics were missing—not over-exaggerated, but entirely absent. Fans who paid for No Man’s Sky on day one effectively spent money on one game and received another. No Man’s Sky has since received myriad updates and Hello Games maintains it to an incredible standard. Many people have forgiven the Murray and the studio at large for the controversy surrounding the release of No Man’s Sky, because at least now the game is everything it was supposed to be, if not even more than that. That’s still problematic, though. No Man’s Sky launched in 2016, but paying customers didn’t get the game they wanted until 2018. To put it plainly, they unwillingly placed a two year preorder instead of actually purchasing a new game. No Man’s Sky was a mistake. A once-off. We can forgive Hello and Murray for that. They’ve redeemed themselves, you see, and are very much aware of the mistakes they made. It’s no longer a big deal, and that’s fine. Lots of people have fun playing No Man’s Sky every single day, so mission accomplished. Fallout 76, though? No excuses. Bethesda is one of the biggest AAA studios in the world. The Elder Scrolls is the fourth-bestselling RPG series of all time, after Pokemon, Final Fantasy, and Dragon Quest. That’s not to mention the success of the Fallout series itself. Fans have seen what Bethesda is capable of, so Fallout 76 is nothing short of 76 kicks in the teeth. No Man’s Sky wasn’t even a full-price AAA game—you could at least say that. Fallout 76 costs the same price as every other AAA release this year—you’re talking God of War, Red Dead Redemption 2, Assassin’s Creed Odyssey—Fallout 76 shouldn’t be mentioned in the same breath as these games. What did it do to earn its flashy price tag? If you haven’t guessed it or already decided for yourself, I’ll give you the answer: nothing. My point is that No Man’s Sky was supposed to be a once-off, a misunderstanding between developer and player. Fallout 76 has absolutely no excuses for its lack of substance. The goal to support it long-term is admirable, but ultimately, it’s just a bit unfair. Fans said they didn’t want the game, but Bethesda decided to make it anyway. As a huge fan of the studio, I supported the decision. I even wrote two articles here about it and received tons of backlash from readers who disagreed with me. Although I maintain that Fallout 76 could have been great, it isn’t even good. Pumping resources into supporting this game might make it more fun in a year or two, but I don’t think that anybody who bought Fallout 76 did so to invest in the future of the game. They did it to play a Fallout game, and due to the rickety nature of Fallout 76’s servers, they might not even be able to do that, even if it was good. Maybe in two years things will be different. That’s the scary thing. What Does Gaming Teach Us About Death?